Throughout the history people have dreamt of becoming rich instantly that’s why today millions of people buy lottery tickets, play bingo or head to different gambling venues including online casinos. This article is for those whose goal is to make a fortune immediately. I am going to tell you about progressive games developed by the leader of online gaming software, Microgaming. 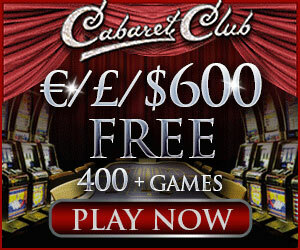 Microgaming has one of the widest collections of progressive games on the Web. Today there are 41 games on offer to keep everyone pleased. Microgaming’s Progressive Jackpot Network has paid out more than €375 million since its foundation. The most part of the progressive jackpot network is slots games. The first ever progressive online slot Classic Cash Splash was released by Microgaming in 1998. Since its inception this game has paid over $4 million. Today two slots – Cash Splash 3 reel and Cash Splash 5 reel are formed one progressive jackpot. Another legendary progressive is Major Millions. Today three slots are connected in one jackpot – Major Millions 3 reel, Major Millions 5 reel and Major Millions Mega Spin. The biggest win on this slot was in 2004, a lucky player won about $1,8 million. Three slots – Fruit Fiesta, LotsaLoot, and WowPot also have two versions, 3 reel and 5 reel games and are connected in one jackpot each. There is one more classic slot with progressive jackpot, Tunzamunni. The most famous and popular progressive slots have 5 reels. Besides above mentioned games, players like to play King Cashalot and Treasure Nile slots. The biggest King Cashalot brought its winner about $1,75 million and Treasure Nile £209,000. But the game that caused a commotion in the online gambling world is Mega Moolah. Appearing in 2006, this game quickly became popular and its jackpot grew enormously. In 2009 a lucky winner grabbed €6,374,434! Today there are 5 Mega Moolah slots attached to one jackpot – Mega Moolah 5 Reel Drive, Mega Moolah Summertime, Mega Moolah Isis, the Dark Knight and Mega Moolah itself. The family of Mega Moolah keeps growing. This fantastic progressive game made over 15 players millionaires. The average jackpot reaches over $3,5 million and hit every two months. For those who do not like slot machines, there are other progressive games. Microgaming offers progressive video poker, roulette, blackjack and poker games. Roulette Royale is a thrilling game with a progressive jackpot. The jackpot is hit once the same number lands on the roulette wheel 5 times in a row. The odds of this happening are very low, that’s why this jackpot is won very seldom. The biggest one was about £1 million. Triple Sevens is a progressive blackjack game. This jackpot game is not won very often, an average jackpot is about £50,000 and hits rarely than once a year. Jackpot Deuces and SupaJax are progressive video poker games. These games are hit quite regularly and can bring their winners up to £60,000. Cyberstud Poker and Poker Ride are casino poker games. Cyberstud Poker is hit somewhere once a year and can give its winner over £300,000. An average Poker Ride jackpot is won once a month and reaches $180,000. There are a good number of millionaires among the players in Microgaming casinos. Play your favourite games and maybe Lady Luck smiles on you and you will become the next millionaire.